Hypoglycaemia refers to an abnormally low blood glucose. It should be considered in all surgical patients, across the pre-operative, intra-operative, and post-operative settings. Whilst it is a treatable condition, if not recognised hypogylcaemia can become rapidly fatal. As such, any A to E assessment for a critically ill patient should involve a BM measurement as routine. 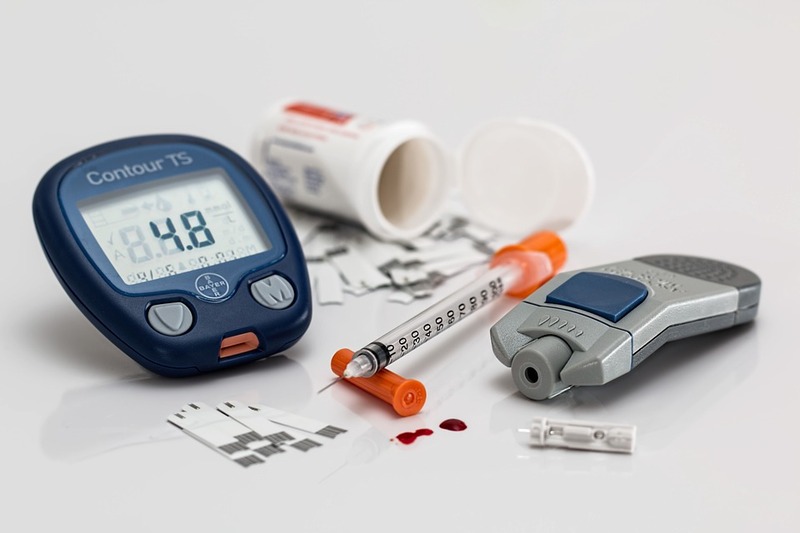 The most common cause of hypoglycaemia is through iatrogenic means, whereby typically there has been an accidental overdose of subcutaneous insulin or oral hypoglycaemic drugs*. Early (10-30 minutes post-prandial) – Sudden and large passage of hypertonic gastric contents into the small intestine, resulting in an intraluminal fluid shift and subsequent intestinal distention. This causes symptoms of nausea, vomiting, diarrhoea, and hypovolaemia – leading to a sympathetic response, predominating with tachycardia and diaphoresis. Late (1-3 hours post prandial) – The surge in insulin production following the ‘dumping’ of food results in hypoglycaemia. Gastric dumping syndrome can usually be managed by small volume and more frequent meals, avoidance of simple carbohydrates, and separation of eating and drinking (to avoid heavy loads on the stomach). These patients should be referred to a dietitian. Hypoglycaemia has a varied presentation. The most common symptoms are sweating, tingling lips or extremities, tremor, dizziness, or slurred speech. Clinical signs include pallor and confusion, tachycardia or tachypnoea, focal neurology, or a reduced Glasgow Coma Score. These features are often non-specific, therefore it is important to routinely check the capillary blood glucose as part of any emergency assessment. It is important to note that patients taking beta blocker therapy may not exhibit the signs of symptoms of hypoglycaemia, which are predominantly mediated by the sympathetic nervous system. Beta blockers also inhibit hepatic gluconeogenesis and will increase the risk of hypoglycaemia. The first line investigation in any suspected hypoglycaemia is a capillary blood glucose (BM) measurement (Fig. 1). A serum blood glucose can also be measured, but this should not delay any needed urgent management. If the patient is not known to be on any hypoglycaemic agents, consider investigating for an underlying cause. Pre-operatively, this can include assessment for comorbidities such as chronic liver disease, and post-operatively one should assess the patient nutritional intake (as it is not uncommon for patients to be starved for prolonged periods of time in the peri-operative period). Hypoglycaemic patients will present as generally unwell, and should be managed with an A to E approach. Once hypoglycaemia has been identified it should be treated on an emergency basis. The initial management is dependant on the consciousness level of the patient. If the patient is conscious, give oral glucose (such as 10g GlucoGel or 120ml Lucozade) immediately. Following this, monitor the capillary blood glucose levels every 1-2hrs until stable and ensure patient eats complex carbohydrates (e.g. bread) to maintain their BM. If no improvement with oral glucose, start IV glucose 1L 10% over 8hrs and monitor BMs. If the patient is unconscious, start by protecting their airway and start high flow O2. Gain IV access and give 100ml of 20% glucose stat. If there is any delay in obtaining IV access, give 1mg IM glucagon immediately. Once a suitable consciousness level returns, prescribe 1L 10% glucose over 8hrs and monitor the capillary blood glucose regularly to ensure levels are >5mmol. As well as specific pre-operative management, diabetic patients also require intra-operative glucose monitoring. BM measurements should be taken regularly every 30 minutes in diabetic patients. Any diabetic patient undergoing major surgery should also be considered for a variable rate insulin infusion for the duration of procedure. If the blood glucose level is <4mmol at any point, the IV glucose infusion rate should be increased and the insulin infusion stopped. Recheck after 30mins for improvement. Any level <2mmol should be treated as a hypoglycaemic emergency, as discussed above. Post-operative blood glucose levels should be measured regularly. Variable rate insulin infusion regime should be continued until the patient is eating and drinking normally, before resuming their normal therapy. For type 1 DM patients, continue the IV sliding scale insulin for 30mins after the normal SC insulin injections are given to ensure overlap in insulin therapies. What is gastric dumping syndrome associated with? Which drugs are associated with hypoglycaemia? What is the first line investigation for suspected hypoglycaemia? What is the most appropriate management for a conscious patient with hypoglycaemia? Ideally how often should a diabetic patients blood glucose be taken during surgery?